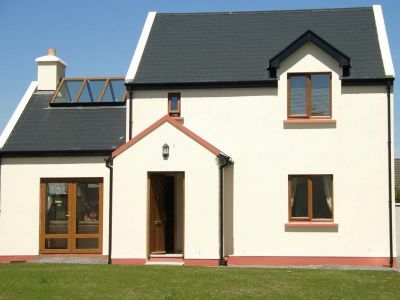 These 4 bedroomed detached houses are located within the picturesque village of Sneem. These bright and spacious holiday cottages are beautifully finished with the comfort of the holiday maker in mind. Comfortable 4 bedroomed detached house. Double room ensuite, 1 twin room, 1 single (4ft double) upstairs and 1 double room ensuite downstairs. Ideally located in Sneem Village on the famous Ring of Kerry, these holiday homes are the perfect base to explore the breathtaking scenery, unspoilt beaches, colourful towns and villages and wonderful restaurants which the area is famous for. From Shannon : Via N18 to Limerick, N21 to Castleisland N23 to Farranfore, N71 Ladies ViewR568 Sneem. From Cork: Via N22 to Ballyvorney, R569 to KenmareN70 to Sneem. From Dublin: N7 to ‘New Inn’ via Ballybrittas, M7 until signpost for Limerick exit, N7 to Limerick N21 to Castleisland, N23 to Farranfore N71 to Ladies View, R568 to Sneem. In Sneem : Go over the bridge on to Caherdaniel road and go to top of square, turn left and then take the first right. Houses are located on the left hand side and are signposted.